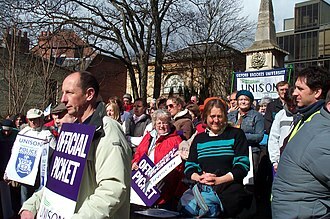 This article is about the industrial action. For other uses, see Slow Down (disambiguation). A slowdown (UK: go-slow) is an industrial action in which employees perform their duties but seek to reduce productivity or efficiency in their performance of these duties. A slowdown may be used as either a prelude or an alternative to a strike, as it is seen as less disruptive as well as less risky and costly for workers and their union. Striking workers usually go unpaid and risk being replaced, so a slowdown is seen as a way to put pressure on management while avoiding these outcomes. Other times slowdowns are accompanied by intentional sabotage on the part of workers to provide further disruption. Nonetheless, workers participating in a slowdown are often punished, sometimes by firing and other times by law. 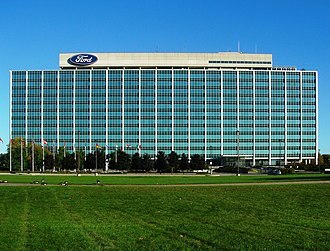 At Ford's plant in Dagenham, UK, during the 1970s, workers introduced a slowdown after Ford management increased the production line speed from 18 to 21 feet per minute. This was a second speed increase, and workers felt that this was unfair. 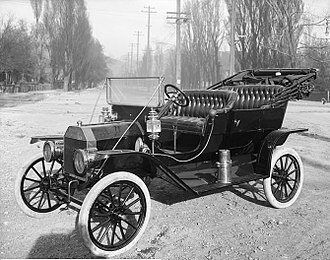 After a go-slow by production line staff, Ford management reduced the line speed back to 18 feet per minute. In July 2011, Qantas engineers introduced an unusual slowdown where right-handed engineers used only their left hands to operate essential tools. Another form of slowdown is known as the rule-book slowdown. This refers to the "rule books" that govern workers' actions, usually either for safety or quality purposes. In practice, many rules are loosely interpreted in the interest of efficiency. A union seeking to employ a slowdown tactic may take advantage of these common rule oversights by having workers "work to rule", obeying each and every rule to the fullest extent, which consequently will greatly reduce productivity. This has the advantage of allowing workers and unions to claim that no malfeasance is being committed, since they are doing only what the management's rules actually require them to do. For instance, many subways are required to keep doors open for a certain amount of time at each stop, whereas in practice doors are often closed sooner. Likewise, a bus driver typically may take the same liberties with traffic law that drivers do, and are often overloaded with passengers, while an experienced pilot can safely fly in some inclement weather. In a "rule-book" slowdown, the bus driver may drive more slowly and conservatively and with a proper passenger load, while the pilot may refuse to fly in mildly inclement weather. Slowdowns are related to but can be distinguished from work-to-rule, another action in which workers refuse to perform more than their required duties. Qantas Airways is the flag carrier airline of Australia and its largest airline by fleet size, international flights and international destinations. It is the third oldest airline in the world, after KLM and Avianca having been founded in November 1920, the Qantas name comes from QANTAS, an acronym for its original name and Northern Territory Aerial Services, and it is nicknamed The Flying Kangaroo. Qantas is a member of the Oneworld airline alliance. The airline is based in the Sydney suburb of Mascot with its hub at Sydney Airport. As of March 2014, Qantas had a 65% share of the Australian domestic market and carried 14. 9% of all passengers travelling in, various subsidiary airlines operate to regional centres and on some trunk routes within Australia under the QantasLink banner. Its subsidiary Jetconnect provides services between Australia and New Zealand, flying under the Qantas brand, Qantas was founded in Winton, Queensland on 16 November 1920 as Queensland and Northern Territory Aerial Services Limited. The airlines first aircraft was an Avro 504K, in 1920 Queensland and Northern Territory Aerial Services Ltd had its headquarters in Winton before moving to Longreach, Queensland in 1921 and Brisbane in 1930. In 1934, QANTAS and Britains Imperial Airways formed a new company, the new airline commenced operations in December 1934, flying between Brisbane and Darwin. QEA flew internationally from May 1935, when the service from Darwin was extended to Singapore, after World War II began, enemy action and accidents destroyed half of the fleet of ten, when most of the fleet was taken over by the Australian government for war service. Flying boat services were resumed in 1943, with flights between Swan River and Koggala lake in Ceylon and this linked up with the British Overseas Airways Corporation service to London. Qantas kangaroo logo was first used on the Kangaroo Route, begun in 1944, from Sydney to Karachi, in 1947, QEA was nationalised by the Australian government led by Labor Prime Minister Ben Chifley. QANTAS Limited was wound up, after nationalisation, Qantas remaining domestic network, in Queensland, was transferred to the nationally owned Trans Australian Airlines, leaving Qantas with a purely international network. Shortly after nationalisation, QEA began its first services outside the British Empire – to Tokyo, Services to Hong Kong began around the same time. In 1957 a head office, Qantas House, opened in Sydney, in June 1959 Qantas entered the jet age when the first Boeing 707-138 was delivered. On 14 September 1992, Qantas merged with nationally owned domestic airline, the airline started to be rebranded to Qantas in the following year. Qantas was gradually privatised between 1993 and 1997, under the legislation passed to allow the privatisation, Qantas must be at least 51% owned by Australian shareholders. In 1998, Qantas co-founded the oneworld alliance with American Airlines, British Airways, Canadian Airlines, the main domestic competitor to Qantas, Ansett Australia, collapsed on 14 September 2001. The International Trade Union Confederation is the worlds largest trade union federation. It was formed on 1 November 2006, out of the merger of the International Confederation of Free Trade Unions, the Founding Congress of the ITUC was held in Vienna and was preceded by the dissolution congresses of both the ICFTU and the WCL. The ITUC represents 176 million workers through its 328 affiliated organisations within 162 countries and territories, Sharan Burrow is the current General Secretary. Also in 2014, the ITUC debuted the Global Rights Index, which ranks nations on 97 metrics pertaining to rights, such as freedom from violent conditions. The founding congress of the ITUC was held from 1 to 3 November 2006 in Vienna, the first day of the congress saw the formal creation of the ITUC followed by an address by Juan Somavia, the Director-General of the International Labour Organization. Technical difficulties limited Lamys satellite video link participation and officers were elected on the final day of the congress. Guy Ryder, the general secretary of the ICFTU, was elected to the same position in the new organisation. A Governing Council was established, with 70 elected members, and 8 additional seats reserved for youth, a Council of Global Unions was formed on the final day of the congress. It was established jointly with ten global union federations and the Trade Union Advisory Committee to the OECD, the second congress of the ITUC was held from 21 to 25 June 2010 in Vancouver, Canada. On 25 June 2010, at the conclusion of the congress, Sharan Burrow was elected General Secretary, in anticipation of her election, Burrow had resigned from her position as President of the Australian Council of Trade Unions effective 1 July 2010. Speaking to the Congress after her election, Burrow paid tribute to her predecessor, but the investment in and participation of women is not only a moral mandate it is an investment in democracy and a bulwark against fundamentalism and oppression. Organising woman is and must continue to be a priority for the ITUC, the Pan-European Regional Council, a European trade union organisation within the ITUC was formed 19 March 2007. Timeline of organized labor history 16191619 Jamestown Polish craftsmen strike 1636 Maine Indentured Servants and Fishermans Mutiny. 1648 Boston Coopers and Shoemakers form guilds,1677 New York City Carters Strike. 1684 New York City Carters Strike,1741 New York City Bakers Strike. 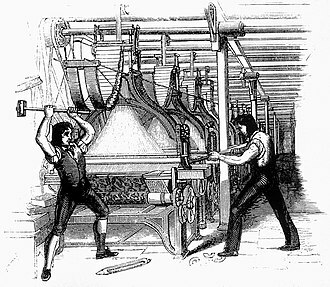 1774 Hibernia, New Jersey, Ironworks Strike,1778 Journeymen printers in New York combine to increase their wages. 1791 Philadelphia carpenters conduct first strike in the trades in the United States. 1792 Philadelphia has first local union in the United States organized to conduct collective bargaining,1794 Federal Society of Journeymen Cordwainers formed in Philadelphia. 1797 Profit sharing originated at Albert Gallatins glassworks in New Geneva,1799 Combination Act outlawed trade unionism and collective bargaining by workers. 1805 Journeymen Cordwainers union includes a clause in its constitution in New York City. 1806 Commonwealth v. Pullis was the first known court case arising from a strike in the United States. After a three-day trial, the found the defendants guilty of a combination to raise their wages. 1816 Food riots broke out in East Anglia, Workers demanded a double wage and for the setting of triple prices for food. 1824 The Combination Act of 1799 was repealed,1824 Pawtucket, Rhode Island, Textile Strike. 1825 United Tailoresses of New York organized in New York City,1825 Boston House Carpenters Strike 1827 Mechanics Union of Trades Associations formed in Philadelphia. 1828 Workingmens Party was organized in Philadelphia by the Mechanics Union of Trades Associations and their efforts lead directly to the forming of the Workingmens Party of New York. 1829 Workingmens Party of New York formed,1831 New England Association of Farmers and other Workingmen formed. Fifty-five workers in Norwich were convicted of breaking and rioting by one of the Special Commissions sent by the Whig Ministry to suppress insurgent workers. Three workers in Ipswich were convicted of extorting money by one of the Special Commissions sent by the Whig Ministry to suppress insurgent workers, twenty-six workers in Petworth were convicted of machine breaking and rioting by one of the Special Commissions sent by the Whig Ministry to suppress insurgent workers. A minimum wage is the lowest remuneration that employers must legally pay their workers. Equivalently, it is the floor below which workers may not sell their labor. 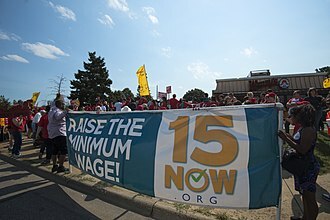 Although minimum wage laws are in effect in many jurisdictions, differences of opinion exist about the benefits, supporters of the minimum wage say it increases the standard of living of workers, reduces poverty, reduces inequality, boosts morale and forces businesses to be more efficient. Modern minimum wage laws trace their origin to the Ordinance of Labourers, King Edward III, who was a wealthy landowner, was dependent, like his lords, on serfs to work the land. In the autumn of 1348, the Black Plague reached England, the severe shortage of labor caused wages to soar and encouraged King Edward III to set a wage ceiling. Subsequent amendments to the ordinance, such as the Statute of Labourers, while the laws governing wages initially set a ceiling on compensation, they were eventually used to set a living wage. An amendment to the Statute of Labourers in 1389 effectively fixed wages to the price of food, as time passed, the Justice of the Peace, who was charged with setting the maximum wage, began to set formal minimum wages. The practice was eventually formalized with the passage of the Act Fixing a Minimum Wage in 1604 by King James I for workers in the textile industry. 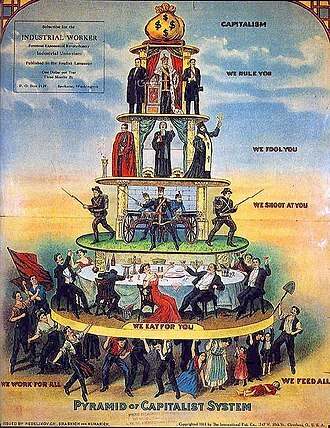 By the early 19th century, the Statutes of Labourers was repealed as increasingly capitalistic England embraced laissez-faire policies which disfavored regulations of wages, the subsequent 19th century saw significant labor unrest affect many industrial nations. 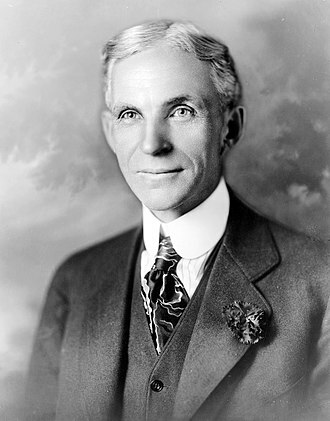 As trade unions were decriminalized during the century, attempts to control wages through collective agreement were made, this meant that a uniform minimum wage was not possible. It was not until the 1890s that the first modern attempts to regulate minimum wages were seen in New Zealand. The movement for a wage was initially focused on stopping sweatshop labor. The sweatshops employed large numbers of women and young workers, paying them what were considered to be substandard wages, the sweatshop owners were thought to have unfair bargaining power over their employees, and a minimum wage was proposed as a means to make them pay fairly. The basic principles of anarcho-syndicalism are solidarity, direct action and direct democracy, or workers self-management. The end goal of anarcho-syndicalism is to abolish the wage system, Anarcho-syndicalist theory therefore generally focuses on the labour movement. Reflecting the anarchist philosophy from which it draws its primary inspiration, hubert Lagardelle wrote that Pierre-Joseph Proudhon laid out fundamental ideas of anarcho-syndicalism, and repudiated both capitalism and the state in the process. 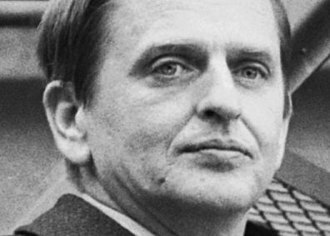 He viewed free economic groups and struggle, not pacifism as dominant in humans, the CNT started small, counting 26,571 members represented through several trade unions and other confederations. In 1911, coinciding with its first congress, the CNT initiated a strike that provoked a Barcelona judge to declare the union illegal until 1914. That same year of 1911, the union officially received its name. From 1918 on the CNT grew stronger, the CNT had an outstanding role in the events of the La Canadiense general strike, which paralyzed 70% of industry in Catalonia in 1919, the year the CNT reached a membership of 700,000. Around that time, panic spread among employers, giving rise to the practice of pistolerismo and these pistoleros are credited with killing 21 union leaders in 48 hours. In 1922 the International Workers Association was founded in Berlin, the CNT joined immediately, the following year, with the rise of Miguel Primo de Riveras dictatorship, the labor union was outlawed, once again. The first secretaries of the International included the writer and activist Rudolph Rocker, along with Augustin Souchy. Following the first congress, other groups affiliated from France, Denmark, Switzerland, Bulgaria and Romania. Later, a bloc of unions in the USA, Peru, Guatemala, Costa Rica and El Salvador shared the IWAs statutes. The biggest syndicalist union in the USA, the IWW, considered joining but eventually ruled out affiliation in 1936, citing the IWAs policies on religious and political affiliation. The Industrial Workers of the World, although not anarcho-syndicalist, were informed by developments in the revolutionary syndicalist milieu at the turn of the 20th century. The Israeli Labor Party, commonly known as HaAvoda, is a social democratic and Zionist political party in Israel. The Israeli Labor Party was established in 1968 by a merger of Mapai, Ahdut HaAvoda, until 1977, all Israeli Prime Ministers were affiliated with the Labor movement. The current party leader since 2013 is Isaac Herzog, the Labor Party is associated with supporting the Israeli–Palestinian peace process, pragmatic foreign affairs policies and social democratic economic policies. The party is a member of the Socialist International and Progressive Alliance, after the Six-Day War broke out and Gahal joined the coalition. On 23 January 1968 Mapai, Ahdut HaAvoda and Rafi merged into one body, on 28 January 1969, the party allied itself with Mapam, the alliance becoming known as the Alignment. As the largest faction within the Alignment, Labor came to dominate it, Mapam left during the eighth Knesset, but rejoined shortly afterwards. In the 1977 elections, Labor for the first time ended up in opposition, in the 1984 elections, Labor joined a national unity government with Likud, with the post of Prime Minister rotating between the two parties. Mapam broke away again during the eleventh Knesset, angry at Shimon Peress decision to form a unity government with Likud. 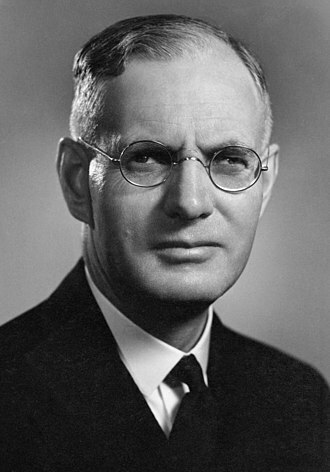 Although the Independent Liberals merged into the Alignment in the 1980s, on 7 October 1991 the Alignment ceased to exist, with all factions formally merged into the Labor Party. W. Led by Yitzhak Rabin, Labor won the 1992 elections and formed the government together with Meretz, in domestic policy, the Labor-led government introduced various measures to improve levels of social protection. Better provisions were introduced for single parents and people with disabilities, the 1994 Law to Reduce Poverty and Income Inequality increased income maintenance grants to needy families, particularly benefitting those sections of society most vulnerable to poverty. In 1995, a health insurance policy was implemented, making access to health care a right for all Israelis. Various measures were introduced to bring greater progressivity into the system of collection of national insurance contributions. A maternity grant for adopting mothers was introduced, together with insurance for housewives, a minimum unemployment allowance. The use of child labour was common. The working day could range from 10 to 16 hours for six days a week, robert Owen had raised the demand for a ten-hour day in 1810, and instituted it in his socialist enterprise at New Lanark. By 1817 he had formulated the goal of the day and coined the slogan, Eight hours labour, Eight hours recreation. Women and children in England were granted the day in 1847. 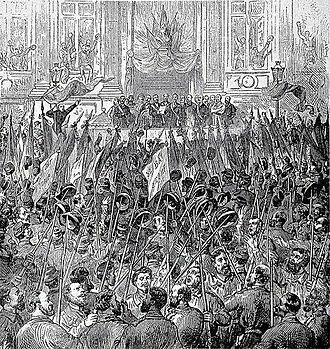 French workers won the 12-hour day after the February revolution of 1848, a shorter working day and improved working conditions were part of the general protests and agitation for Chartist reforms and the early organisation of trade unions. Karl Marx saw it as of importance to the workers health, saying in Das Kapital, By extending the working day, therefore. The first international treaty to mention it was the Treaty of Versailles in the annex of its thirteen part establishing the International Labour Office, now the International Labour Organization. The eight-hour day was the first topic discussed by the International Labour Organization which resulted in the Hours of Work Convention,1919 ratified by 52 countries as of 2016. 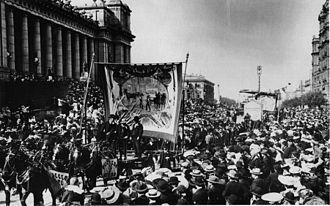 The eight-hour day movement forms part of the history for the celebration of Labour Day. In Iran in 1918, the work of reorganizing the trade began in earnest in Tehran during the closure of the Iranian constitutional parliament Majles. In 1918, the newly organised union staged a 14-day strike and succeeded in reaching an agreement with employers to institute the eight-hours day, overtime pay. The success of the printers union encouraged other trades to organize, in 1919 the bakers and textile-shop clerks formed their own trade unions. In 1946 the council of ministers issued the first labor law for Iran, the first company to introduce an eight-hour working day in Japan was the Kawasaki Dockyards in Kobe. An eight-hour day was one of the demands presented by the workers during pay negotiations in September 1919, after the company resisted the demands, a slowdown campaign was commenced by the workers on 18 September. After ten days of action, company president Kōjirō Matsukata agreed to the eight-hour day and wage increases on 27 September. The southern Dagenham skyline includes structures of the Ford plant and wind turbines. WFTU poster urging solidarity with the Bolivian Workers' Center.